MANHATTAN (CN) – Suing for $100 million in damages, a New York plastic surgeon says the reporters ruined his practice by telling viewers that he kept patients drugged for days at a time in his waiting room. 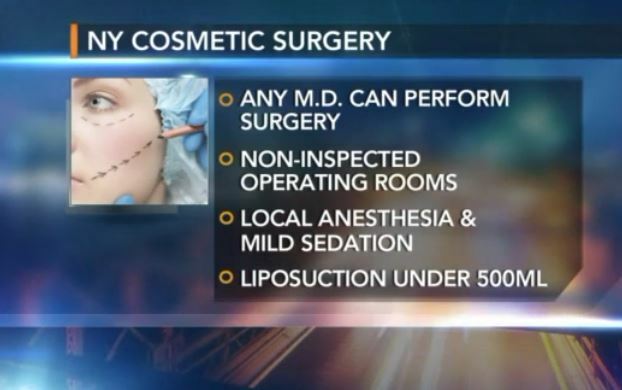 WPIX 11 ran the segment “Inside New York’s Dangerous Cosmetic Surgery Loophole” on July 29, 2014, but Dr. Ayman Shahine says it has reaired numerous times since then and remains available online. “The segment was intended to make plaintiff a scapegoat for the shadowy cosmetic surgery practices in and around the city of New York,” according to the complaint, filed March 9 in Manhattan Supreme Court. Shahine, of Brooklyn, notes that he began his career in obstetrics and gynecology but has been practicing liposuctions and other cosmetic surgeries for the past 15 years out of his office on West 34th Street in Manhattan. WPIX told its viewers that Shahine was exploiting a legal loophole that lets any MD perform any surgery, in “uninspected and unsanitary” offices. Shahine calls out three “false and defamatory statements” made about him in the broadcast. “By its actions, WPIX intentionally or recklessly caused emotional distress and financial ruin,” Shahine says. Accusing WPIX of violating professional standards of journalism, Shahine says the reporters consciously chose not to contact prior patients of his who could have debunked the segment’s claims. Shahine also says he was not contacted by WPIX for comment prior to the broadcast. Now other doctors and cosmetic surgeons are using the WPIX segment, according to the complaint, to bolster their own credibility and steer business their way, away from Shahine. The 11-page complaint seeks $100 million in damages for defamation and intentional infliction of emotion distress. Shahine also wants a “take down” of the segment from the internet, as any online search of his name brings up the damaging article on Google. “Liposuction amounts must be kept below 500 ml, about 2 cups,” the report said. Representatives from WPIX have not returned a request for comment Friday afternoon. Shahine is represented by Pamela Roth.